Drugs can affect any of the stages in the "life-cycle" of a neurotransmitter. Agonists: Bind to receptors and simulate or enhance a neurotransmitter's actions (i.e., opening ion channels and causing EPSPs or IPSPs). Antagonists: Have the opposite effect of agonists by blocking the receptors and inactivating it (usually by taking up the space but without specifically causing the opening of the channel or the operation of the secondary messenger). The neurotransmitter's effect is nullified or diminished. Smokers: relaxation, alertness, reduced desire for food. Non-smokers: Nausea, vomiting, cramps, and diarrhea. Low doses effect is excitatory. Moderate to high doses effect is inhibitory. Feelings of well-being and confidence. Reduced desire for sleep and food. Alcohol inhibits neurotransmission in two ways. First, it inhibits the excitatory channels on the postsynaptic neuron. Next, it lowers the rate of action potentials from the presynaptic neuron. At synapses where adenosine is the primary neurotransmitter, a high postsynaptic firing rate leads to sleepiness. Caffeine inhibits sleepiness by inhibiting adenosine neurotransmission. 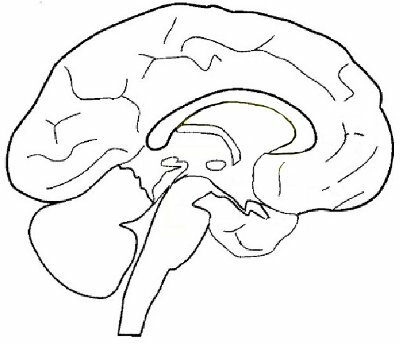 Nicotine affects neurotransmission by causing more action potentials in the presynaptic neuron and by causing more dopamine to be released per vesicle. Cocaine provides a sense of euphoria by blocking the reuptake of dopamine by the presynaptic neuron. This leads to a higher dopamine concentration in the synapse and more postsynaptic firing. The mechanism by which heroin affects neurotransmission is unclear, but it is thought to increase the rate of vesicle fusion in the presynaptic neurons that use dopamine as a neurotransmitter.